Toshiba announced the launch of TCB702FNG, an addition to its 4-channel high-efficiency linear power amplifiers that meet current market requirements for high efficiency. With the new power amplifier, Toshiba has improved on its technology to realize efficiency comparable with a digital high efficiency of class D amplifier in actual operating range (0.5 to 4W). Power consumption is cut by up to 80% of that for a typical class AB amplifier. 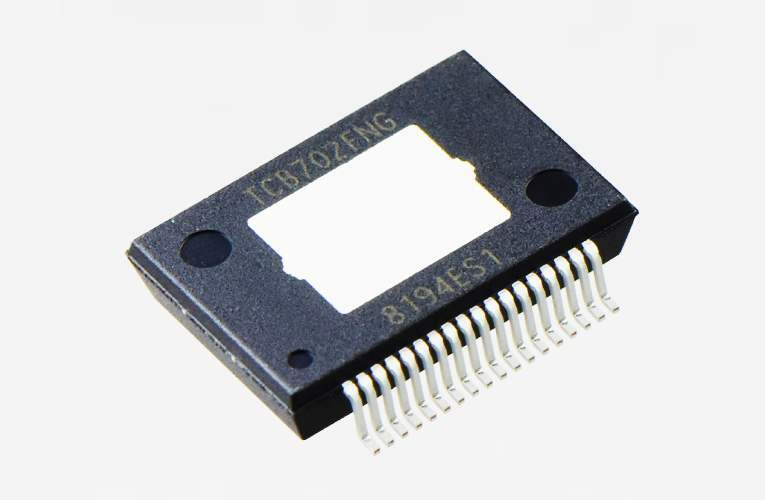 The maximum output for TCB702FNG is 45W, and is pin-compatible with TCB701FNG, the company’s high efficiency linear power amplifier with maximum 50W output. Moreover, it also incorporates a self-diagnosis function with I2C bus control that can diagnose errors and contribute to a suitable set design by changing the detection setting for gain or time constants. It also includes full-time error detection of output DC offset voltage, which can quickly detect abnormal output offset voltage and prevent speaker burnout, improving set reliability. 2C bus control allows diagnosis of errors such as cross output connection. Sample shipments are ready with mass production scheduled to begin in the first quarter of 2019.